What does “Bear Market” mean anyway? A bear trend is when the market declines over a period of time. Investor attitude changes to pessimism or even fear. Specifically, a decline of 20% from recent highs defines bear territory. 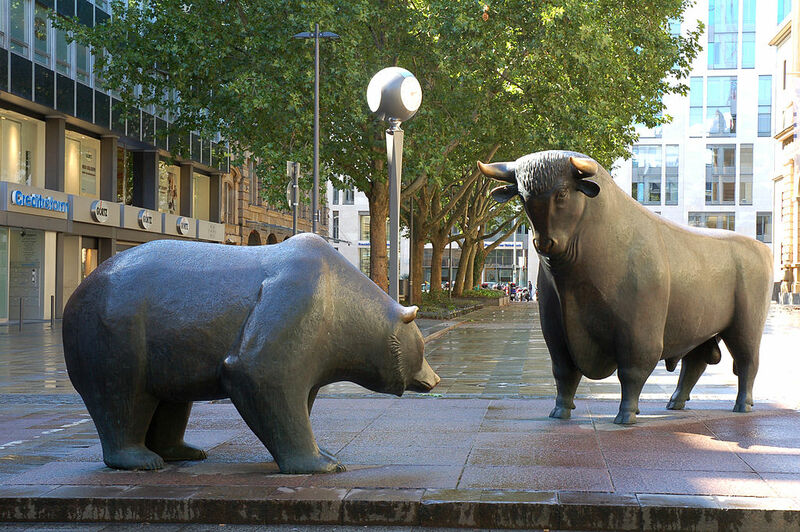 Which are the high profile bear market entrants in 2015? Commodities such as crude oil, gold, copper has been in a bear market for quite a while now. Arguably, the world’s most popular stock, Apple Inc., just entered bear territory. Despite falling spectacularly on Monday — by 487.97 points or 6.7 %, the PSEi is only down around 16% from its record high in April 2015. Of course, if you are going to be strict about it, the PSEi index may not be a good representative of the Philippine stock market, the PSE All Shares is probably a better indicator. The All Shares is also down by 16%. from its record high in April. For more data on the performance of PSEi through time, go here. The Philippines is not yet in bear territory, but it’s getting awfully close.